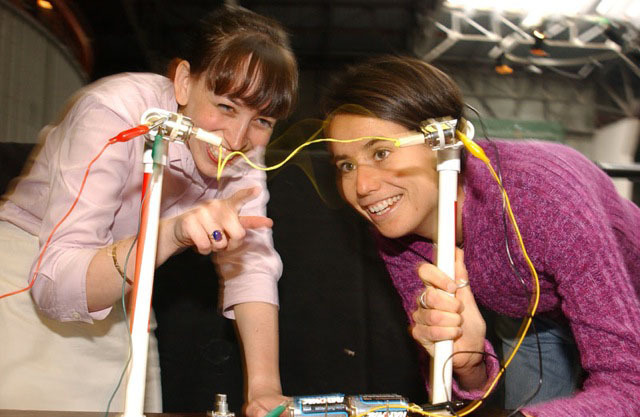 The Exploratorium is the hands on place to explore and have fun with science. Here you have the chance to try navigation in complete darkness, blow the world's biggest soap bubble, see how supercooled water freezes instantly, learn the Maya language etc. etc. The building is filled with fancy displays and hands on exhibits that bring science to life. This scientific funhouse seems to engage every visitor. From the small child who just enjoy moving things or watching things move to the experienced scientist who still enjoys the fundamentals. The participatory nature of its exhibits and its self-identification as a center for informal learning has led toThe Exploratorium being cited as the prototype for participatory museums around the world. Muni’s F Market streetcar stops in front of the Exploratorium at Embarcadero and Green Street. Muni bus lines 2, 6, 14, 21, 31, and metro rail lines J, K, L, M, T, N stop within walking distance. Bus lines 1, 10, 12, 41, and 38 also stop in the vicinity. Opening hours: Tue-Sun 10:00 a.m.–5:00 p.m. Closed on Mondays.